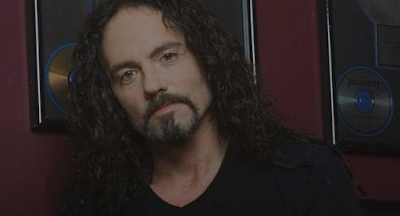 Los Angeles County Department of Medical Examiner-Coroner said that former Megadeth drummer Nick Menza's death was caused by cardiovascular disease. Nick collapsed after suffering a heart attack during the third song of OHM:'s show on May 21 at The Baked Potato in Studio City, California and was pronounced dead upon arrival at hospital. He was 51 years old. 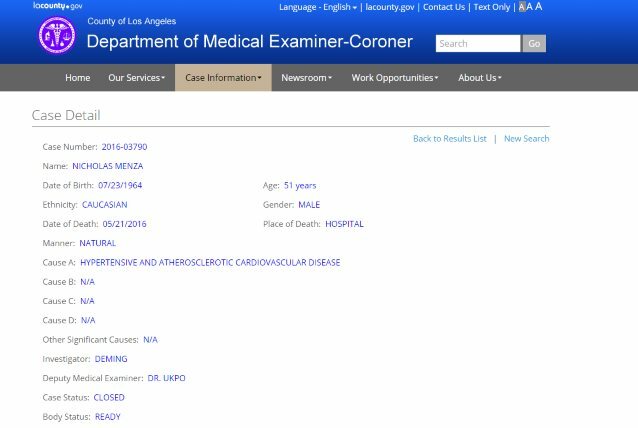 The Los Angeles County Department of Medical Examiner-Coroner said Menza died of natural causes. 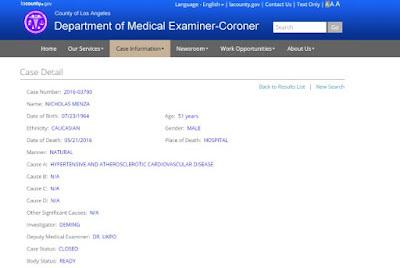 The cause of Menza's death was listed as hypertensive and atherosclerotic cardiovascular disease.